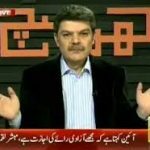 Islamabad: The famous TV anchor Mubashir Lucman it seems went a bit carried away with his program, ‘Khara Sach’ when he chose to defame the court of Pakistan in his program. The court has stopped the program from airing for the meanwhile, while the next session of the case will take place in the last week of June. According to the private channel, Justice Shaukat Aziz Siddique of the High Court had taken notice of the matter on the request of Martyr Foundation. The lawyer representing the ‘Martyr Foundation’ advocate Tariq Asad argued that Mubashir Lucman was undermining the integrity of the judiciary to make it disputable. He also remarked that the chairman of PEMRA and secretary of information should present themselves at the court and state how many complaints had they received against the TV anchors of the private TV channels and what steps had they taken to address this issue. The court has demanded an answer from the chairman of PEMRA and secretary of information regarding this question. Mubashir Lucman although said that the decision of the court was against the law, democracy and the constitution of Pakistan. The court couldn’t oppose the right of freedom to speech, but if anything was stated in the program that was not true, then the court had the right to take action. 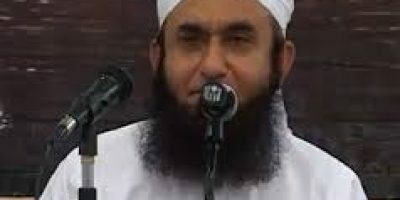 He said that the decision has been made on the stance of the people of Lal Masjid and that the concerned judge was a lawyer for Lal Masjid and Jang group for a long time. Their decision was biased. He said that a decision is made after listening to both the sides, but in this case he was not even invited. Mubashir Lucman said that he was not going to appeal against the decision, but if the TV channel wants then they could launch an appeal. Thank God this d*** has been stoped from bar***ing. Name of its program must be khura jhoot. 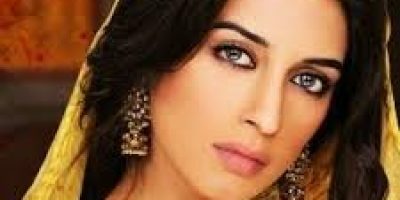 Is nay Rana Mashoor ko sahi pakra. 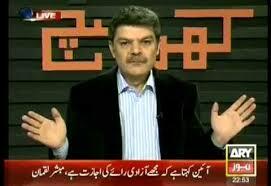 Salute you Mubashir Lucman. you are a great person. for sure the decision of high court is biased.